Celebrating sunshine, unity, and urbano music with a two-day oceanside bash, Baja Beach Fest is quickly becoming the premier live showcase for Latin trap and reggeaton. 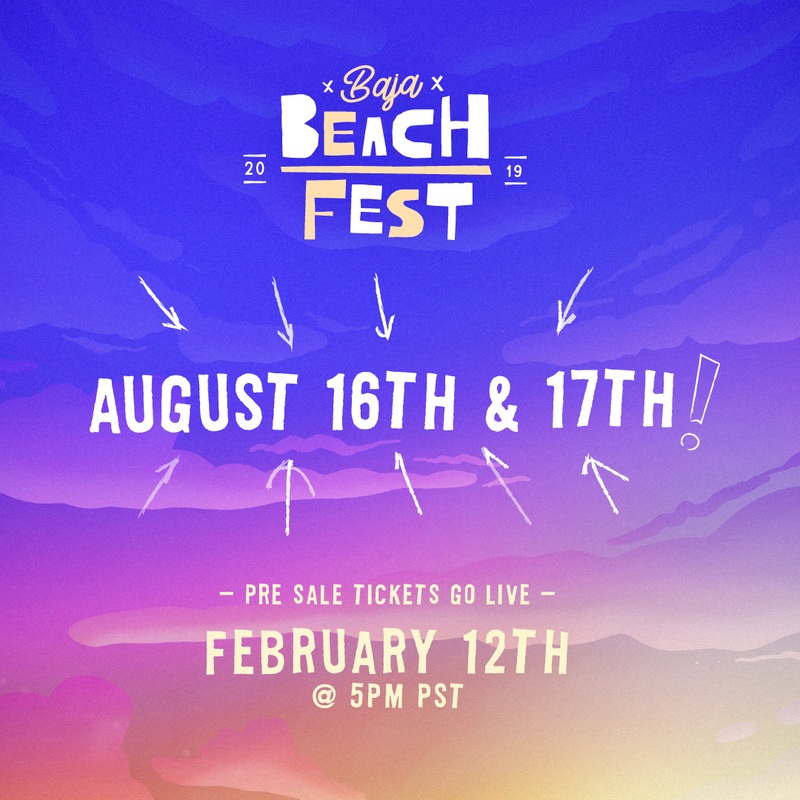 Returning to Baja California, Mexico for its second annual festival, Baja Beach Fest announces that their 2019 festival will occur on August 16th and 17th in Rosarito Beach. Expanding into a two-day festival after selling out their inaugural one day event last year, Baja Beach Fest brings together the best and biggest names in urban Latin music, offering fans a premium beachside experience just 30 minutes south of the United States border. Pre-sale tickets go live on February 12th at 5pm PST at a discounted price before the blind-sale ends 48 hours later. Few genres have reached the global audience of urbano, Spanish-language urban music–seven of the ten most-viewed music videos on YouTube in 2018 came from Latin artists. In 2018, Baja Beach Fest brought together some of the most popular and fastest rising names in music, including Bad Bunny, Farruko, Yandel, Bryant Myers, DJ Kass, Sergio E, and more. Stay tuned for the 2019 lineup announcement, which will pack even more talent into a full 2-day lineup. Please contact Michelle or Erin if interested in talking with Baja Beach Fest.